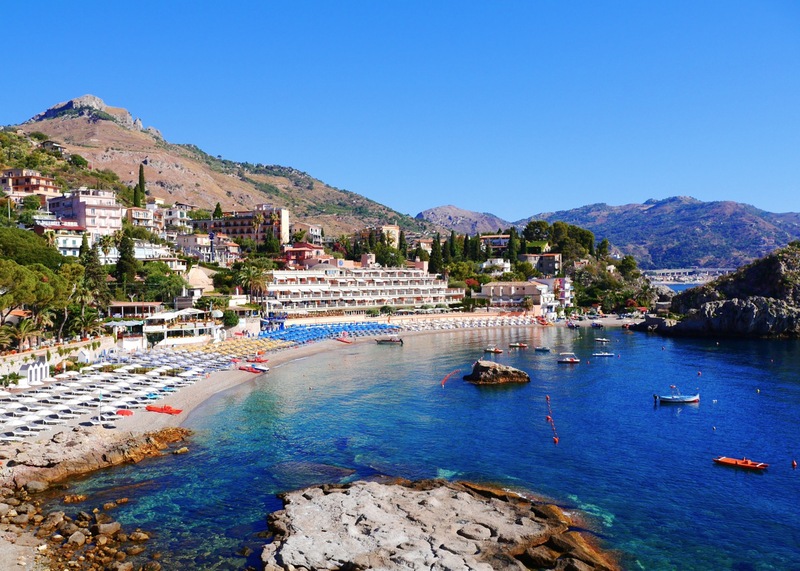 Strategical Position : Taormina is located between Messina and Catania, in a strategical position which makes it easy to visit Sicily, without travelling to much or spending to much on petrol. It’s less than an hour from Catania’s Airport and thanks to the cable car the city center is well linked with the seaside. Comfortable Accommodations : The art of welcoming is deeply bounded with Sicilians culture and traditions and this bound has spread out into the world letting Sicilian people become famous as lovable and passionate people. 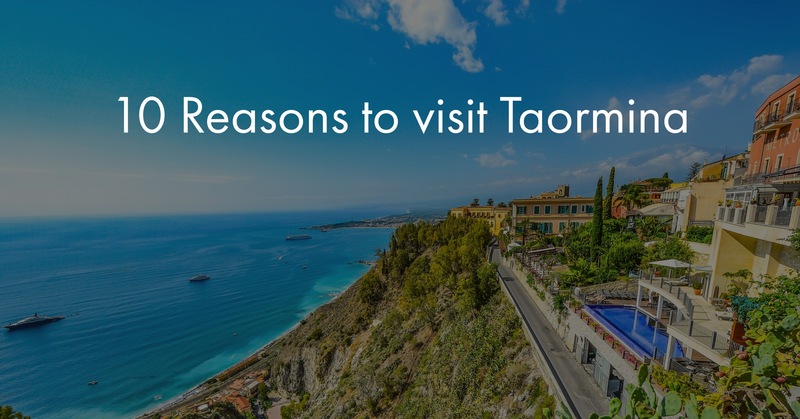 You will find this passion also in Taormina, especially in the accommodations where the art of welcoming is translated into reality, well organised Hotels can be found all around Taormina provided with different type of services and amenities. Choose among a wide range of Hotels or take a look here on our directory and select categories and filters based on your necessities. Monuments and Churches : Sicily has been shaped by waves of conquest and settlement by different peoples over 4,000 years. Since the 8th century BC, Phoenicians, Greeks, Romans, Byzantines, Arabs and Normans all settled or invaded the island, lured by its fertile lands and strategic location. Over time, this series of conquests forged a cultural identity unlike any other. You will find traces of this all around Sicily and especially in Taormina some of most important sights are : Roman – Greek Theatre , Arco dei Cappuccini ( 16th century ) , Clock Tower, Mosaics and Churches ( here is a detailed list ) . 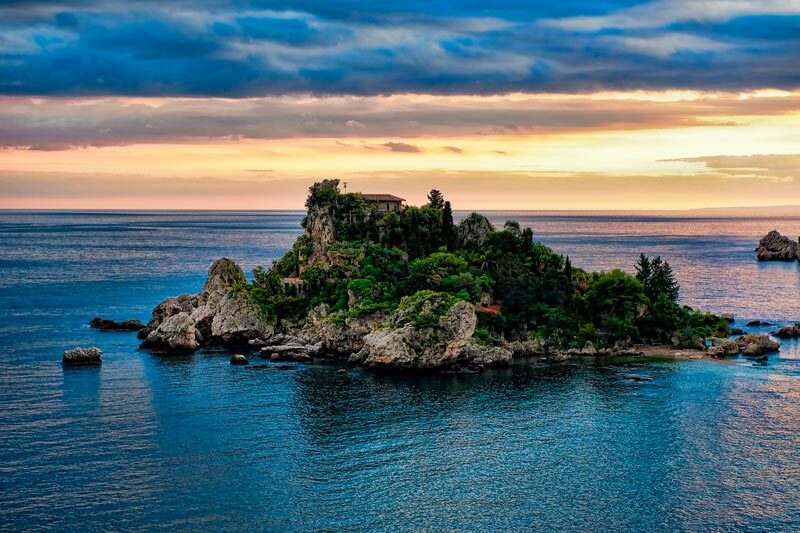 Natural Sights : Taormina is surrounded by natural beauties which will indeed take your breath away. 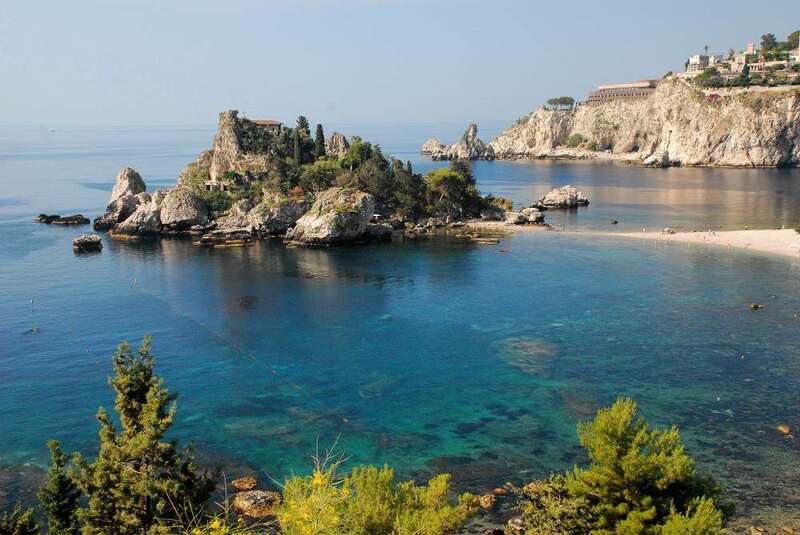 Unesco’s protected areas like Isola Bella are well known in all Europe and made famous also Taormina for it’s stunning beauty. Mount Etna has always been the perfect background for Taormina, night and day also thanks it’s rare eruptions. 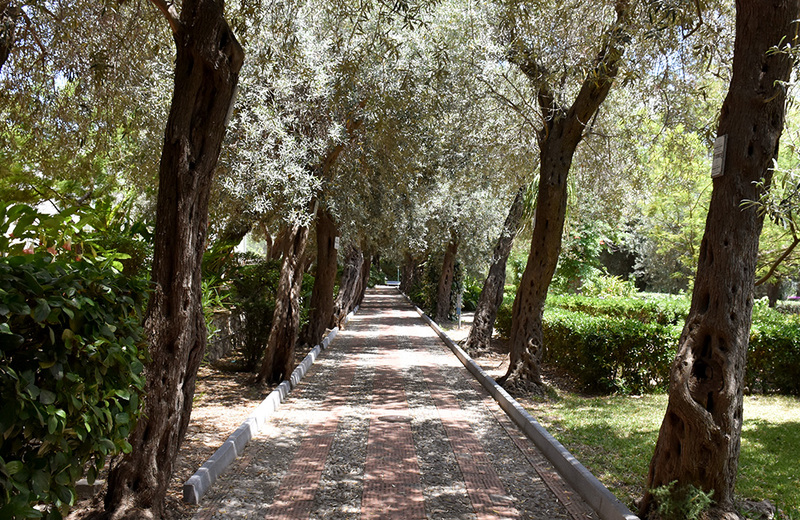 The public gardens of Taormina are the right place where to enjoy sunsets or to enjoy fresh air and cool spots during hot summer days. Entertainment : During your stay in Taormina the are many activities organised during summer and winter: Paragliding can be done also during spring seasons and watching Taormina’s landscapes from the sky will indeed leave you breathless; Diving Lessons and Courses will let you explore Taormina’s underwater world, there are also many archeological sites like the Lost Temple; Excursions and Tastings are organised all around Etna, which for many years has been main attraction of Sicily, take a day to taste excellent wines, honey and local products, explore the wildlife of Etna or take a tour to visit the where old eruptions sites ; As previously mentioned Taormina’s strategical position will let you explore Sicily, reaching easily important towns and sites like the Valley of Temples in Agrigento, Syracuse, Catania, Cefalù and so on.. Also an 18 holes Golf Corse is located less than 30 km from Taormina, meanwhile speaking of Sport, Taormina is provided with football field, tennis courts, Indoor Swimming Pool, Beauty and Wellness centres. 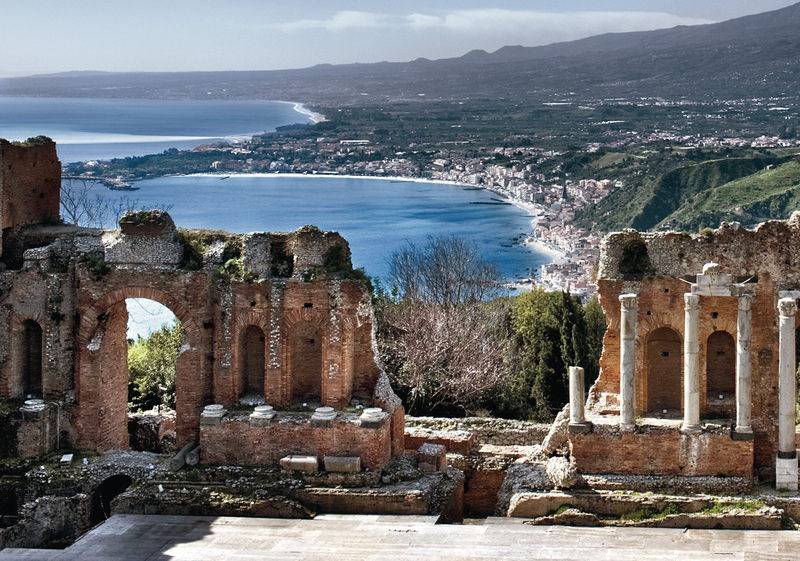 Events : Many exhibitions and events are organized during the summer in Taormina. The exceptional stage for pop and classical concerts, opera and important performances often recorded by television (for example, the ceremony of the Silver Ribbon Award, the Kore) is the Ancient Theatre. Since 1983, the most important performances are realized by Taormina Arte, the cultural institution which organizes one of the most famous music, theatre and dance festivals. Within the program of Taormina Arte there is the Taormina Film Fest, the well-known cinema festival, the heir of the Cinema Festival of Messina and Taormina, dating from 1960, which for about twenty years has hosted the David of Donatello Awards with the participation of the most famous Italian film stars. During the Taormina Film Fest the Silver Ribbons are now awarded, a prize created by Italian Film Journalists. Shopping : Women keep calm ! Will your husband is tasting an excellent wine you may relax with some shopping, Taormina’s main street has a wide range of shops where to find especially Made in Italy brands and products. Shopping in Taormina can be both cheap and expensive, depending on what you are looking for ! Shops to be visited are located in the little alleys of the main street, where you will find unique art creations and exclusive Made in Italy boutiques. Landscapes : Let’s let pictures speak about this !